For online fund transfer through net banking or mobile banking in HDFC Bank, fist you need to enable third-party fund transfer facility. After register for Third Party Transfer (TPT) facility online, you can transfer money to any bank account. 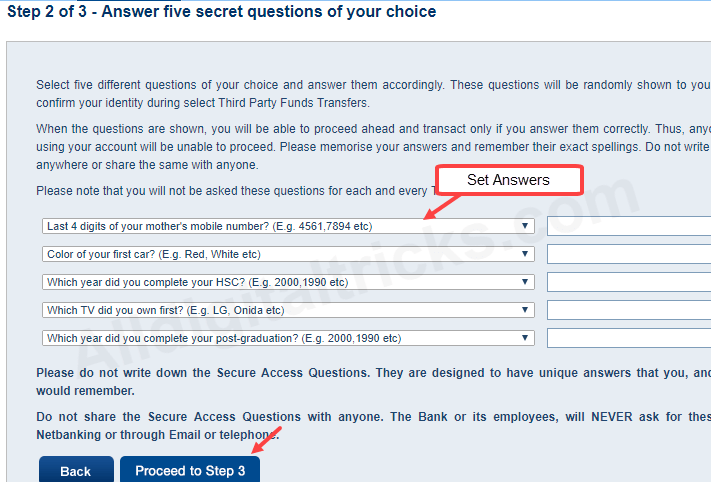 Here we will tell you step by step process – how to enable/register for Third Party Transfer (TPT) facility online in HDFC Bank. After activate HDFC mobile banking or net banking, your next step is enable or register for third-party fund transfer facility (TPT) for online money transfer to any bank account. 1: First of login to your HDFC net banking account. 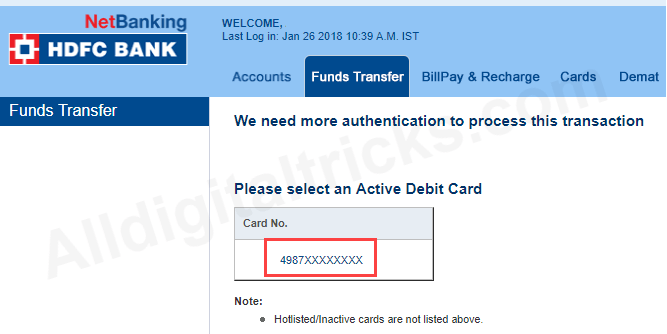 4: In next page, enter your Debit card PIN and expiry date and click on confirm. 5: In next screen click on Register Now. 6: Select your mobile number and click on continue. 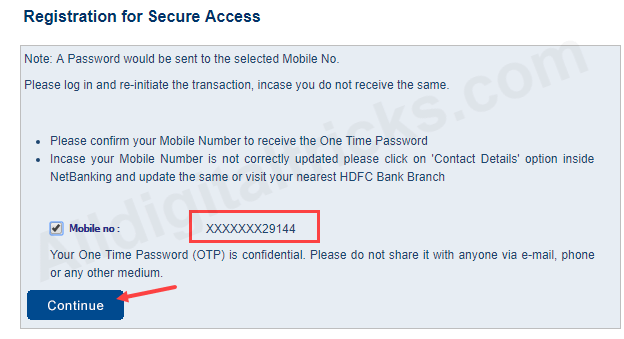 7: You will receive One Time Password (OTP) on your registered mobile number, enter OTP and click on continue. 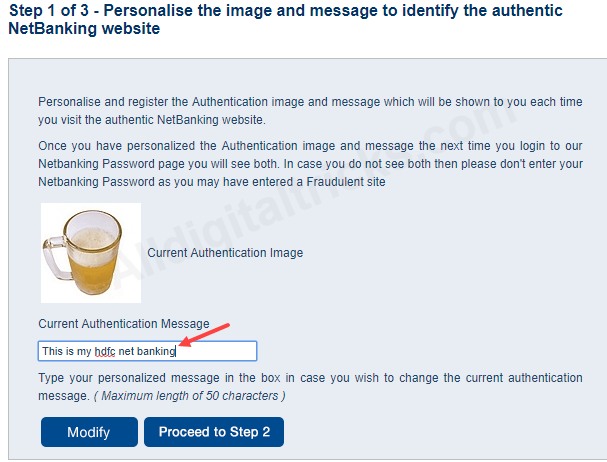 8: In next screen, set your net banking authentication message and image. Both message and image will be shown when you login to net banking. It will ensure net banking address authentication. 9: In last step, you need to set 5 secret security questions answer. Set 5 security answer and click on confirm. That’s it, you have successfully enabled third-party fund transfer facility. Now you can add beneficiary account (payee) and transfer money to them. So this is how you can register for Third Party Transfer (TPT) facility online in HDFC bank to transfer money to any bank account through net banking and mobile banking.